Lovely building design and surrounds. Staff were polite and friendly. Location, old world feel of the property. Loved the stone walls and wooden beams in the room. Walking distance to lot's of places. Being our anniversary, they had a bottle of wine and chocolates waiting in the room for us. That was a lovely surprise. Loved the location. Loved tbe style of accomadation. Idea location to town and Perfect place to stay, especially if you have kids as they have an amusement park on their sight. Location. Car parking in Launceston CBD and surrounds is paid parking. We were able to leave our car at the hotel and walk and not worry about finding money for the meters. The total old world ambience of the property, central location. Great location. 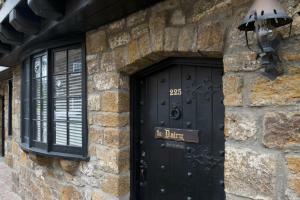 It is rebuilt army quarters from the 1890's and has a great atmosphere. A throw back to medieval times but with modern conveniences. The staff was superb. Parking on site was a plus! 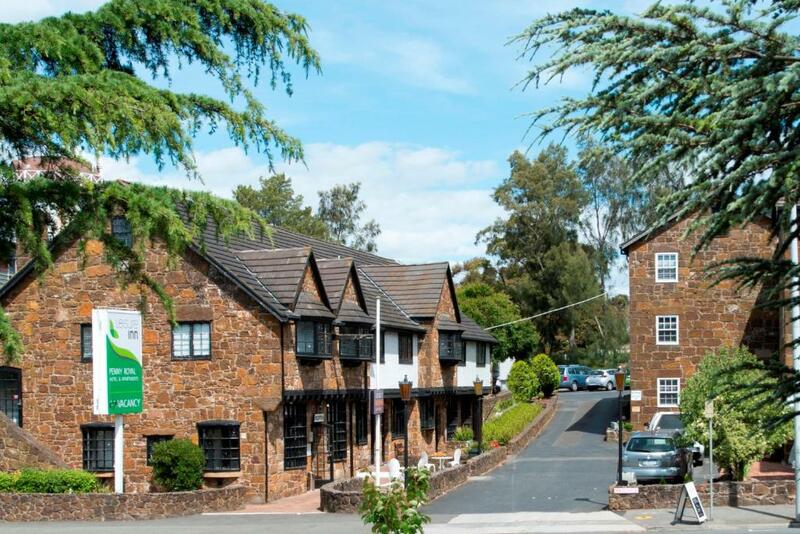 Lock in a great price for Leisure Inn Penny Royal Hotel & Apartments – rated 8.3 by recent guests! Leisure Inn Penny Royal Hotel & Apartments This rating is a reflection of how the property compares to the industry standard when it comes to price, facilities and services available. It's based on a self-evaluation by the property. Use this rating to help choose your stay! 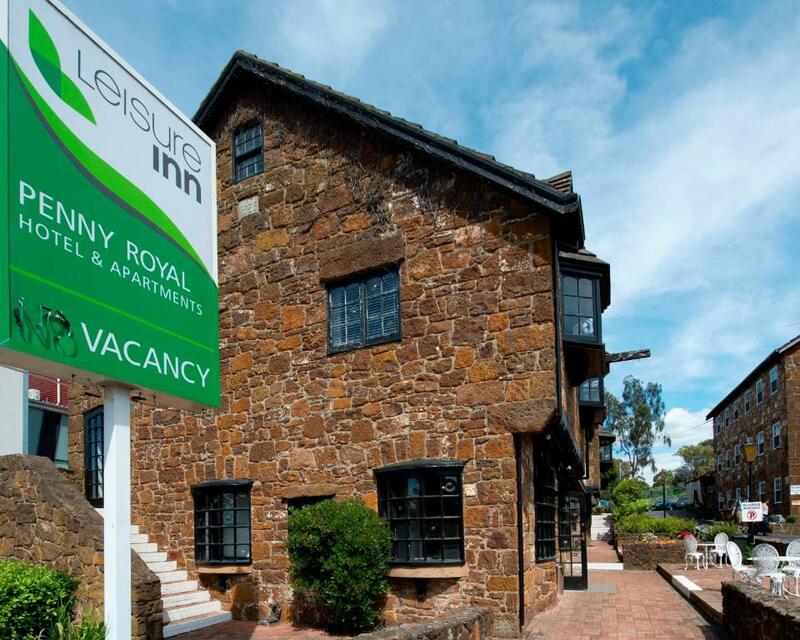 One of our top picks in Launceston.Leisure Inn Penny Royal Hotel & Apartments is a heritage property with modern facilities, conveniently located 10 minutes' walk from Launceston CBD. 1 GB of free WiFi, per day is provided. Penny Royal accommodations offers spacious, modern hotel suites and self-contained apartments. The suites, are located over 1,000 feet from the apartments, over 3 levels. The apartments are located on the 1st level of the complex. Both accommodations styles are accessed via stairs only. The 2 and 3-bedroom apartments are split-level, with the living area on the 1st level and the bedrooms located on the upper level, accessible via an internal staircase. When would you like to stay at Leisure Inn Penny Royal Hotel & Apartments? Modern hotel rooms with heating and tea/coffee making facilities. Apartment with separate lounge room and open plan kitchen/dining area. Please note that the rate is based on 4 guests. Please note that there is no capacity for additional guests. Spacious self-contained apartment which includes open plan kitchen/dining area. Please note that the price is based on 3 guests. Please note that there is no capacity for additional guests. Please note that this room does not offer a daily housekeeping service. This apartment has an open-plan lounge area and a kitchenette with a microwave, toaster, kettle and refrigerator. 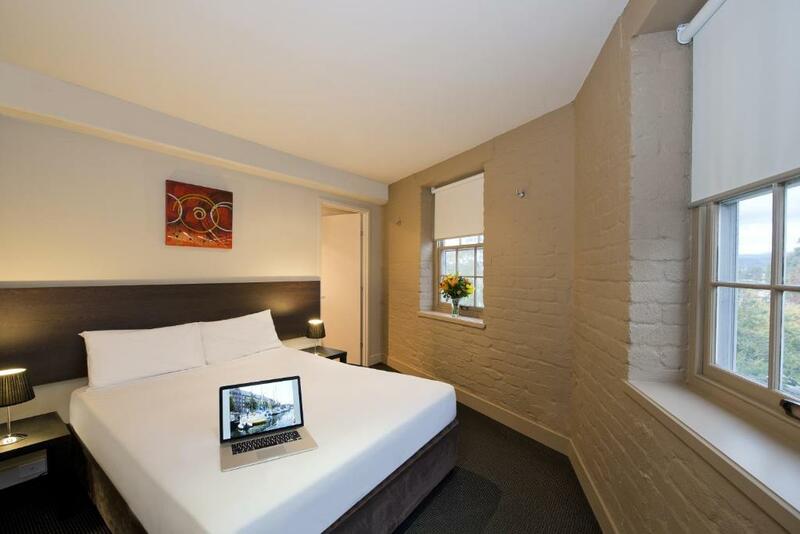 Leisure Inn Penny Royal and Apartments is a heritage property featuring modern facilities and conveniently located within 10 minutes walking distance to the CBD. Close by is the newly opened Penny Royal Adventure, Cataract Gorge, the beautiful Tamar River. 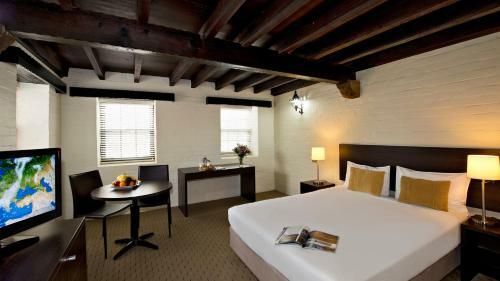 Originally built as a corn mill in 1840, it was moved 54 kilometres to Launceston and was rebuilt as a hotel over 130 years later – stone by stone. Penny Royal accommodation offers spacious, modern and comfortable hotel suites and self-contained apartments, with free Wifi access to 250MB per day. 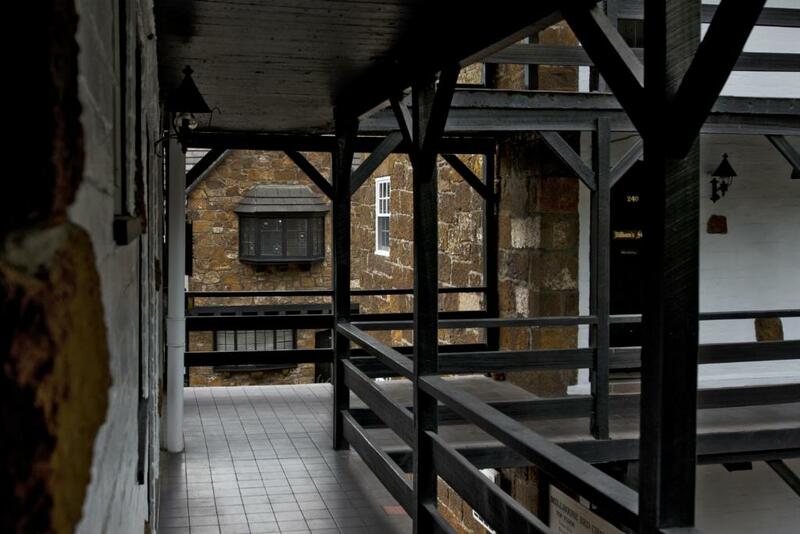 The spacious hotel suites are located over three levels of the hotel and are only accessible via steps and stairwells. The hotel is located 200metres from the apartments complex which is located beside the Penny Royal Adventures. The apartments are located on the first level of the complex which are accessible by stairs only, no lifts available. The two and three bedroom apartments are split level with the living area on the first level and the bedrooms located on the upper level accessible by the internal staircase. House Rules Leisure Inn Penny Royal Hotel & Apartments takes special requests – add in the next step! Leisure Inn Penny Royal Hotel &amp; Apartments accepts these cards and reserves the right to temporarily hold an amount prior to arrival. Leisure Inn Penny Royal Hotel & Apartments accepts these cards and reserves the right to temporarily hold an amount prior to arrival. Please note that reception hours on December 25 are 08:00 until 18:00. If you expect to arrive after 18:00 you must contact the property in advance, using the contact details found on the booking confirmation. If you arrive outside reception opening hours, you can check in by calling the after-hours phone number. Please contact Leisure Inn Penny Royal Hotel & Apartments in advance, using the contact details found on the booking confirmation. Please note that there is a 1.19% charge when you pay with a Visa, Mastercard or Bankcard credit card, a 3% charge when you pay with a Union Pay credit card, a 3.35% charge when you pay with a bank issued American Express credit card and a 3.5% charge when you pay with an American Express or Diners Club credit card. Please note that all rooms are located on the first or second floor, and are only accessible by using stairs. 250MB of free WiFi is provided per room, per day. Dirty, run-down. Had to ask for milk for room. No shelf space in bathroom. Our first apartment was like a shoe box cell small and no windows. They did move us to bigger apartment next day. Was large and clean but lacked good storage, pillows and any warmth. Felt very cold ambiance. Apart from the fact we had to walk t the 200 m to the restaurant there was nothing we didnt like. We only had breakfast the first day as our room had facilities for self catering. The breakfast was excellent. The air-con motors/compressors outside our door were noisy and kept me awake at nighttime. We love the character of the buildings and the location within easy walking distance of the Gorge. The onsite restaurant and bar is good too. The atmosphere of Penny Royal. The view was great. Shower facility could do with an upgrade. Lighting insufficient with dark interior. No option other than stairs to access first level. They were a challenge after my wife's hip operation! Location suited our needs to be able to walk everywhere. Room was large for purpose. Bed very comfortable. Fridge convenient. We liked the size of our room. Not pokey. It was all we expected and perfect for us. The location was really good. Easy to find and close to the main centre. The room was clean and comfortable. Our room must have been close to the street as it was quite noisy in the evening. 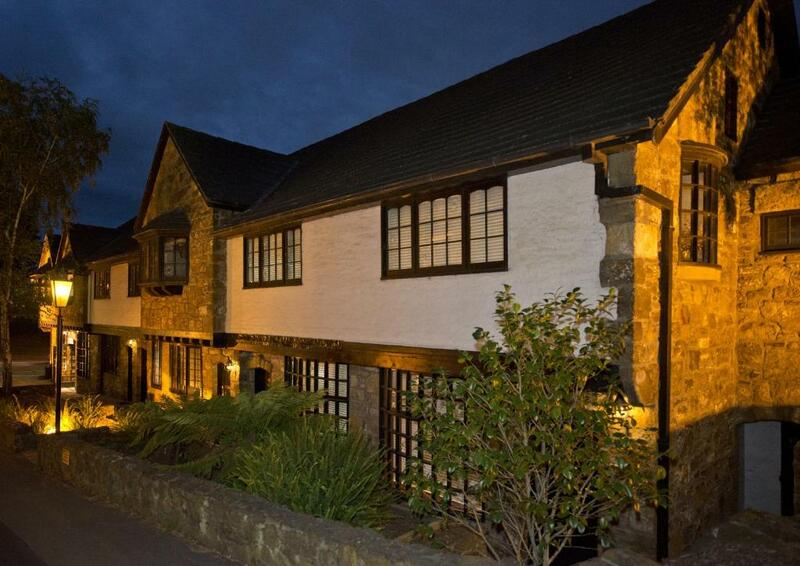 The location was great and it was very convenient that there was onsite parking as well as a restaurant/pub. Great meal and service willing to help if you're not satisfied. Best nights sleep in great bed. Bathrooms very pokey for a family - need a refit! !